After taking up running in 1904, Clarke’s career prospered when he moved to Liverpool and joined Sefton Harriers two years later. 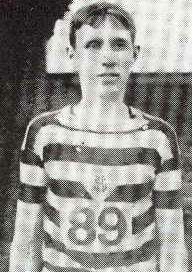 In 1907 he placed 3rd in the AAA 10 miles Championship at Manchester in 54:06.8. In 1908 Clarke won the Northern Counties cross country title at Haydock Park and finished fifth in the World Cross Country Championship at Paris, where he was a scoring member of the gold medal winning England team. A short time later Clark was an emphatic winner of the Liverpool Olympic Marathon trial, but had a bad run in the Polytechnic trial and finished well down the order. However, he was selected for the Olympic team on the strength of the good overall form he had shown that season. In the legendary 1908 Olympic Marathon, Clarke was an early leader but eventually slipped back to finish in 12th position. Nevertheless, he had the distinction of being the first Brition to finish, and his time of 3:16:08.6 was an inaugural British Marathon record. After that Clarke turned professional. He improved his best marathon time to 2:51:50 on a grass track at Salisbury on 29 June 1910, and on 17 March 1911 he was second in an indoor marathon at Dublin in 2:41. Known as a stylish runner, Clark perhaps ran his best race at Navan on 4 June 1911, when he won a £75 sweepstake over 20 miles in a time of 1:55:47.